Hello everyone! It has been a while since I myself last spoke other than speaking from stories & content created for you. 2018 has been quite a productive year for me. Working two jobs, the creation of my official blog page (stephjmillz.com), increasing support for my blog, becoming much more in tune with myself spiritually, & so forth. 2019 will be the second year since I began my blog. Time sure does move quite fast. Yet, I must say I have had quite an enjoyable time with showcasing my talent in writing. I want to tap into your inner emotions & have you think in ways you probably have never thought of before. The feedback you all give me proves that I have been doing my job exceptionally well. As you can see, I have developed quite a knack for improving my set. Having something like this had always been a dream I wanted to achieve. All I had to do was set the goal, put my mind to it, & make it happen. It is so amazing to wake up to something like this. I would also like to just give a big thank you for all the love & support given throughout the past couple years. Seeing things like this truly means a lot to me for as this is what keeps me motivated to keep progressing. The follows, the likes, the feedback, all of which lets me know that my writing is & always will appeal to someone out there. I, with no doubt, believe in 2019 we will grow even more than ever before! Also, I’m not one to ever ask or beg for things that I can get on my own. But I am always open to any contributions should you ever have the desire to show dedication to my blog or to assist with me pursing my dreams throughout my life. I have set up a donation button here that I will leave open to anyone that ever wishes to be a contributing factor to me building on my success. It is & always will be optional to you. $1 can truly make a difference, don’t ever doubt it for a second. Click the image to donate! Should you ever have any questions or wish to contact me directly, you can leave a comment, send a direct message on my social media accounts, or email me @ stephjmillz@outlook.com. I believe this will be a great year for everyone. We’re on a fresh start meaning new opportunities, new experiences, & a new life. It is certainly a blessing to be alive this long to witness a new year to come. Everyone should be grateful for that. 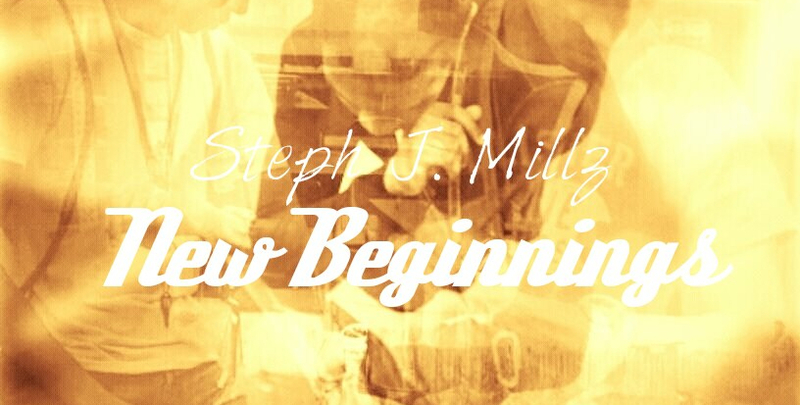 Trust & believe there’s a lot to come & that I will show the world who Steph J. Millz is. On that note, take care of yourselves & God bless you all!